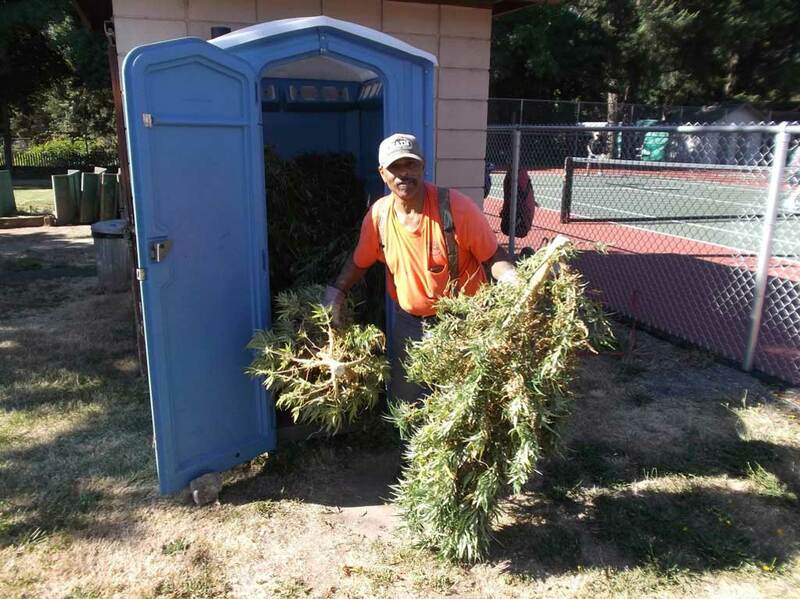 Police say a man walking through a park in Oregon discovered a portable toilet filled with marijuana plants. 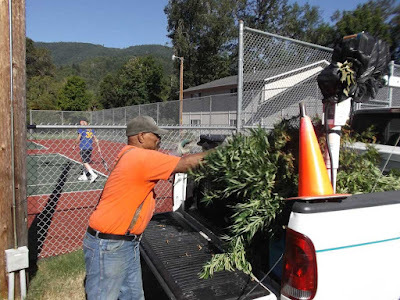 Rogue River police posted photos on social media on Wednesday, saying it's the largest seizure of pot the department has ever made. Marijuana grows are common in southern Oregon, which has some of the nation's best conditions for outdoor cultivation. Chief Ken Lewis on Thursday said police still don't know how the pot got there. 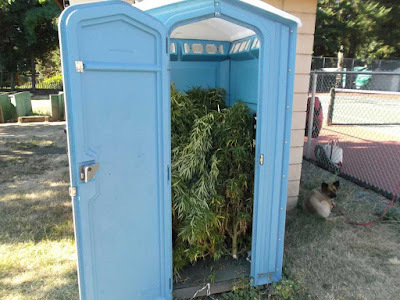 He said it could be anything from a pick-up point to a disgruntled resident making a statement about all the marijuana grows. Lewis said a public works employee checked the toilet three hours before the discovery was made and it was empty. People playing tennis on a nearby court saw nothing suspicious.